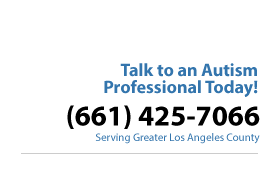 Vista Center for Behavior Analysis serves the greater Los Angeles County and provides Applied Behavior Analysis (ABA) treatments to children, teens and adults with Autism Spectrum Disorder and other developmental disabilities. We provide individualized programs that can help your son or daughter deal with current issues and learn the life skills needed for living an independent life. Vista is dedicated to training functional life skills that will empower your son or daughter to successfully integrate into their communities, so that they can lead independent and fulfilling lives. Through Vista your son or daughter will receive a high quality, comprehensive, and individualized treatment program, which will be based on the principles and research of ABA. Vista staff members address skill development and behavioral challenges for your son or daughter through personal support in your home and in the community. Parents, family and extended family members and other caregivers actively participate in the treatment and training programs and play an essential role in your child’s progress and success. Our highly trained staff members are prepared to work with school personnel, occupational therapists, speech therapists, caseworkers and educators, to create a comprehensive and consistent program to teach functional skills and help decrease your child’s challenging behaviors. Vista adheres to a strict code of ethics and integrity and treats everyone with care and kindness. H. Keith Massel, Ph.D., BCBA-D,the founder and President of Vista Center for Behavior Analysis, received his Ph.D. in Clinical Psychology from Georgia State University in 1985. His specialty area was behavior analysis and therapy. He has been a Licensed Psychologist since 1989 and a Board Certified Behavior Analyst (BCBA) since 2003.